Introducing the new Good Wolf Coaching logo. Tomorrow is Ironman Arizona, 2017 edition. I'm at home, spending the day with my little girl --content that I was able to squeeze in a 45-minute Zwift session on the trainer. Times have indeed changed, and I'm loving the new journey. Seven years ago, I competed in my first Ironman, in Tempe. I prepared nearly a year for that moment. To this day, it was perhaps the most personally gratifying day of my life. I vanquished some inner demons that needed to die. It changed me forever, and that is no exaggeration. Seven years later, I wouldn't have believed it had anyone said I'd enjoy coaching athletes more than racing. But it's true. Especially helping athletes prepare for Ironman Arizona, which I have completed three more times since that blustery day in 2010. My first Ironman Arizona athlete competing under the Good Wolf Coaching banner, Scott, is toeing the line tomorrow for his first full-distance Ironman experience. I remember how I felt the night before the race. I even re-read my old blog posts. Scott is handling the experience much more chill than I did! People say there's nothing quite like your first time. They might be talking about something else, but it still applies to Ironman. There's nothing like experiencing the spectacle and wonder at your first Ironman expo. The incessant mental questions, "Do I belong here, with all these amazing-looking athletes?" There's nothing like those first-time 140.6 race jitters within the last 24 hours. Packing special needs bags wondering, "Will I really need this extra tube/Co2 cartridge/tire/gel/sweater/Pepto Bismal" on and on and on. Hoping you won't, of course, but fearing the worst. There's nothing like waking up race morning, hopefully after some semblance of sleep, knowing that today is the day you're about to become an Ironman. There's nothing quite like wondering alone in the shower, "Will I finish the race?" "Will all the training pay off?" There's nothing like that first walk to the race start from the hotel, in the dark...stadium-style lights in the distance turning early morning into mid-day...getting closer with each step. It's here. There's no turning back. And, there's nothing like mile 25 on the marathon...when you know you're going to hear your name on that finish line and then it's mile 26 and then you round the corner to Rio Salado and hear Mike Reilly tell the world that you just accomplished something that very few people can do...something that you yourself weren't sure you could do just hours prior. 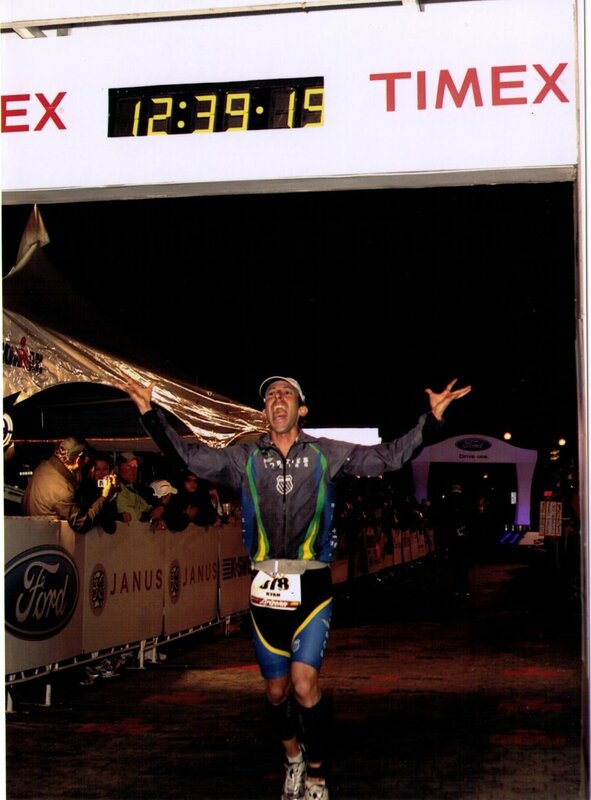 Crossing the line at my first Ironman, one of the best moments in my life. There's nothing like those first-time moments, and I miss that feeling as an athlete. But being a coach allows me to experience it through my athletes' eyes, and while I'm still pretty new as a coach, there's really nothing like seeing their joy and satisfaction with their own performances. To be a small part of that success...well, there's really nothing like that either. 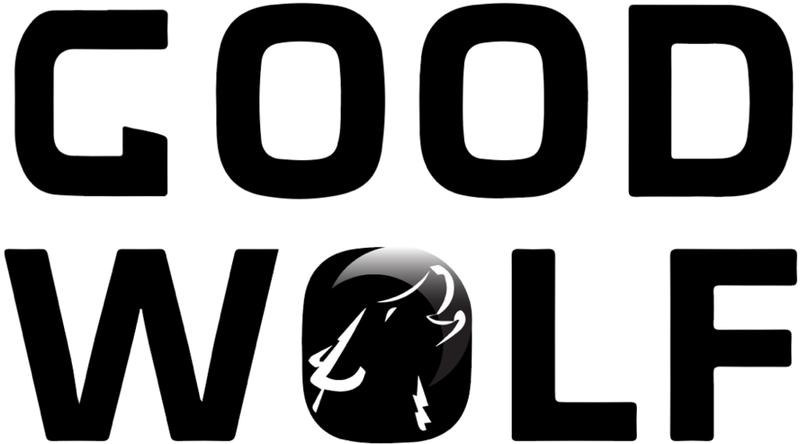 I'm excited to reveal a near-final version of the Good Wolf Coaching logo here for the first time. (Special thanks to Ryan Lastimosa and Dave Dietterle for helping bring it to life.) It's appropriate I do so on the eve of my most special and favorite race. I hope to launch my website next week, along with a new blog post sharing what Good Wolf Coaching has been doing the last several months. In short, we've seen marathon, Olympic-distance, half-Ironman and Ironman triathletes reach and exceed their goals despite very demanding schedules. I'm proud of each of them, and eager to work with them again along with a few more clients in 2018 to help them find their own definition of "better." For those competing at Ironman Arizona tomorrow, especially first-timers, I raise my water bottle to you. I hope you find the same kind of meaning and satisfaction I did in my first Ironman experience. And I hope it even leads you to share that experience with others several years later.